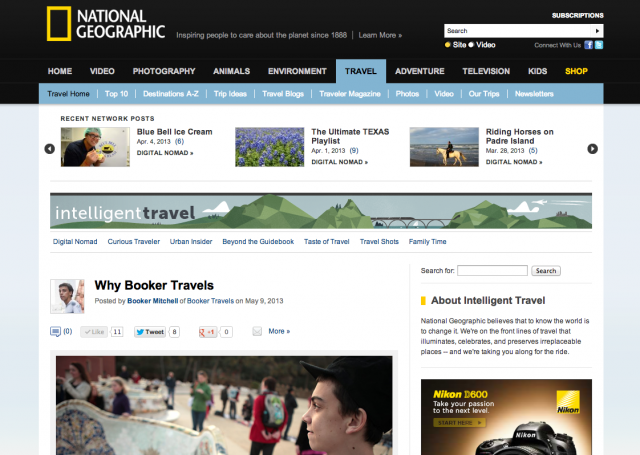 Thanks to National Geographic for yet another awesome opportunity! This week, Booker contributes to their blog Intelligent Travel with a manifesto called Why Booker Travels. Starting this week, BT will start posting events and stories of places in Booker’s hometown: NYC. Check out this new section of our site!